First let me start off with this hilarious failure at English. 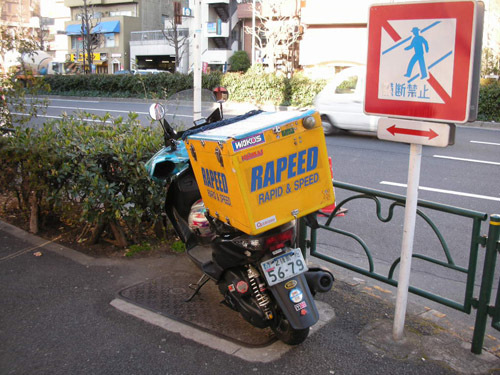 While I'm sure the creators of this company thought it was cleaver to join the english words 'rapid' and 'speed', I don't think they realized its close resemblance to the word 'raped'. When I first saw it I read it as raped and stopped in my tracks confused as to what service would offer rapings delivered. 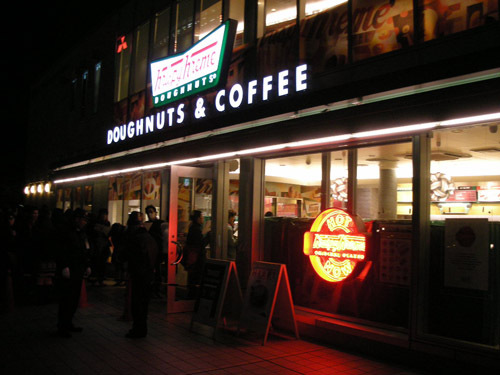 So I was wandering in Shinjuku as I do from time to time (famous area in west Tokyo) and ran across this brand new Krispy Kreme. 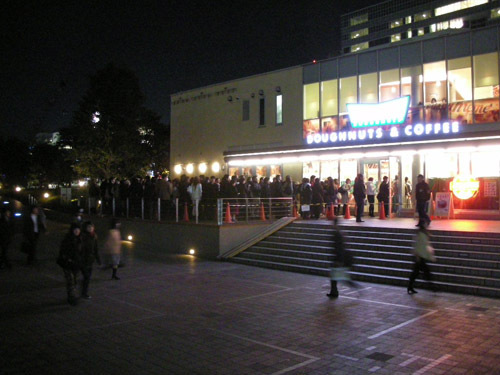 Set among a very populated and frequented area near the station, the first Krispy Kreme in Japan pulled immense crowds. I remember when I was a junior in high school in Sacramento when Krispy Kreme opened their first store in Sac. It was pure insanity, the whole school talked about how great they tasted and how the wait was 3 hours long to get a dozen of them. I had a hard time believing they were that good and confirmed my assumption when I actually ate one. Don't get me wrong, they are beyond delicious, but not 3 hours waiting delicious. That mass of people is only half of the line to get a donut. They even still have hot lamp when fresh donuts are being made. With how long the wait is all day long from opening to close, I'm sure that light never goes off. 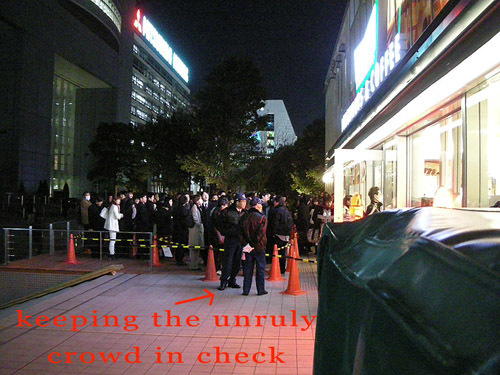 These guards were posted to make sure noone cutted in line. I asked one of them if he liked the donuts and he told me they were the best. He also told me it was at least a 2 hour wait to buy a dozen. I wasn't surprised by the looks of the line. It's amazing how similar the stores here and in the US are. Same goes for other restaurants like McDonalds and Starbucks. Anyway I threw together a quick video to help share what the scene looked like. 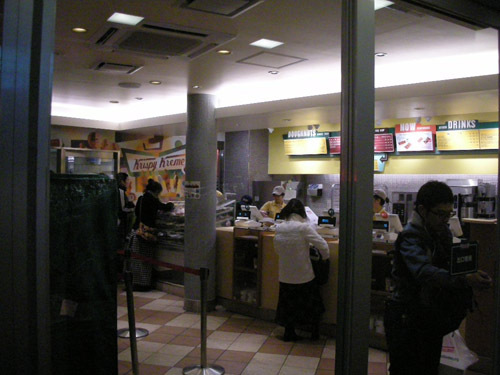 > Well shoot, it's the 1st Krispy Kreme in ever in Japan. Of course people are gonna line up to it. It's just crazy seeing that though. So its A: Your scared of letting japanese women next you with scissors or B: you havent gotten a hair cut yet. But its nice to know that your still using ballin in everyday jdm life. High five.